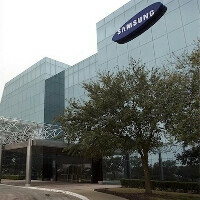 Samsung intended to invest $3.9 billion more into the expansion of its Austin, Texas mobile chips facility, where it creates silicon that makes Apple's smartphones and tablets tick, and the goal was to give Texas governor Rick Perry another shot at ribbon-cutting. Not really, but despite the rumored Apple turn to TSMC or Intel for manufacturing its mobile chips after the contract with Samsung expires by 2014, the Koreans still went ahead with the planned Texan foundry expansion, which goes to show that either Apple will still be ordering silicon with them, or Samsung predicts increased orders from other clients, including its own mobile division. Reuters reports that the $3.9 billion facility expansion has been greenlit by the respective authorities, and the state of Texas will now receive state-of-the-art foundry to brag about, while Samsung said retooling with the new equipment will take about six months. Other devices with the Exynos SOC? Awesome.